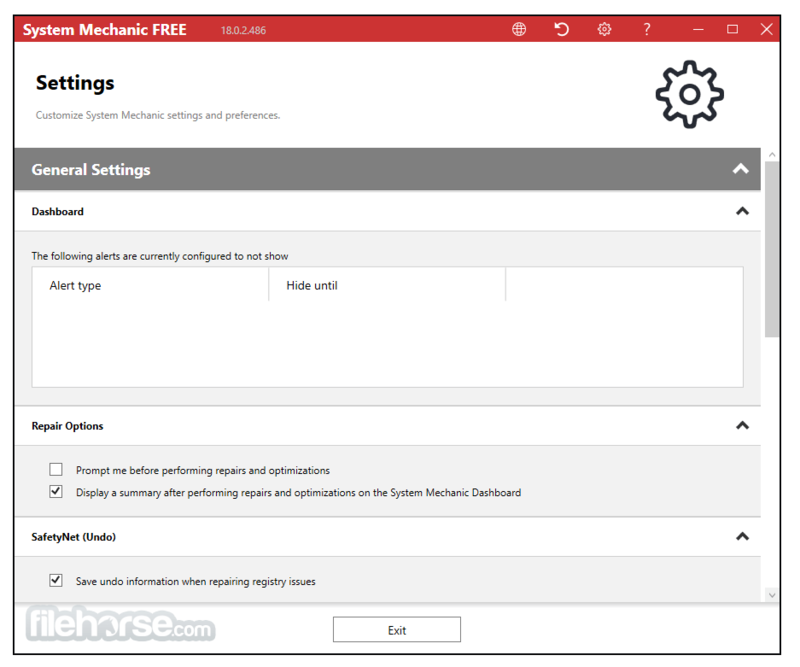 System Mechanic Free keeps your PC running at peak performance and stability with advanced PC tune-up, repair and maintenance features. 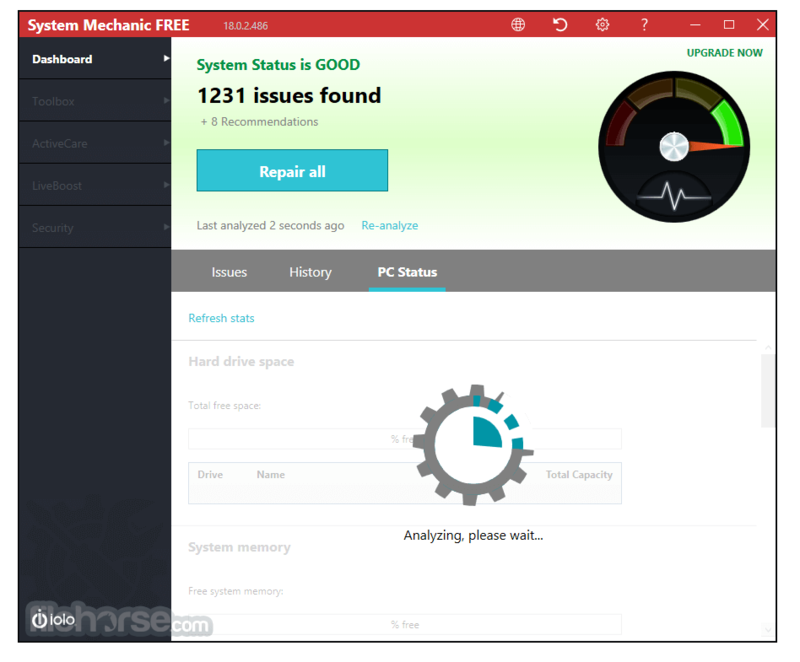 Using safe and effective tools, its exclusive patented technology fixes registry errors, defrags hard drives, cleans up junk files, accelerates downloads, boosts Windows speed, and ensures maximum ongoing system stability. 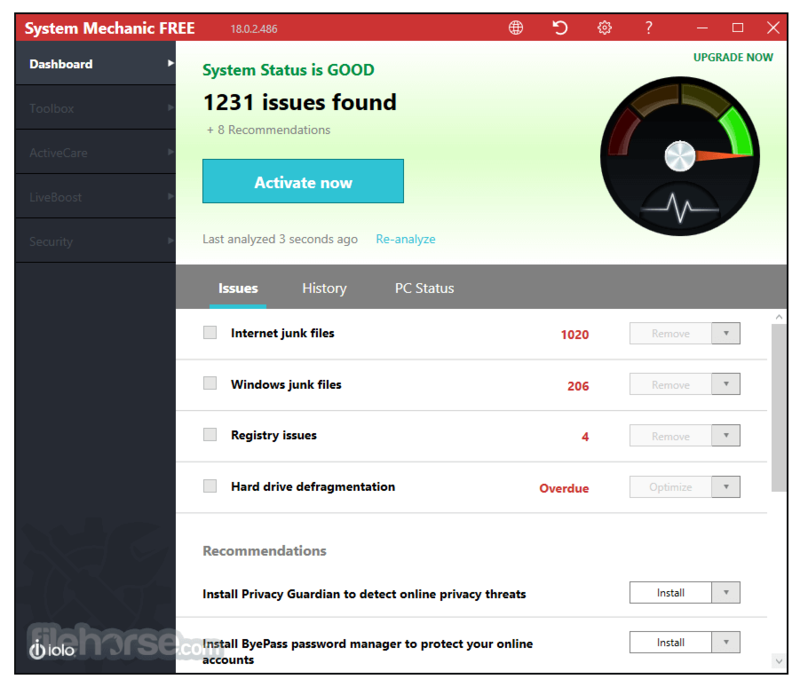 System Mechanic Free is based on the consistently top-rated and award-winning performance solution trusted by over 80 million people to keep over 85 million PCs worldwide problem-free and running like new. Note: In free demo version, you cannot fix found issues. The following tools are disabled: Toolbox, ActiveCare, LiveBoost, Security, Reports.